On September 27th the team at MTG Hawke’s Bay embarked on a very special fashion journey with our summer exhibition Whetu Tirikatene-Sullivan – Travel in Style. With over ten years of research leading into the exhibition, beginning with Douglas and my conference paper at the Courtauld Institute, London, in 2002, it was thrilling to see the exhibition finally coming to life in the MTG galleries. This exhibition brings together 26 garments that belonged to Labour MP Whetu Tirikatene-Sullivan, which now form part of the collection of the Hawke’s Bay Museums Trust. These are accompanied by additional garments and accessories from the family’s collection, as well as exceptional archival imagery. 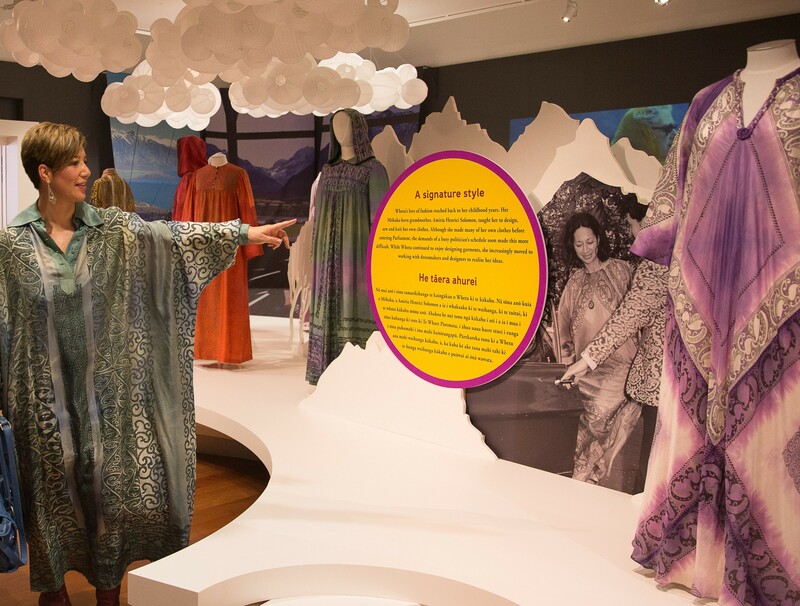 Travel in Style focusses on the period from 1967 to the mid 1970s – a period when Whetu’s profile as a young, stylish Māori woman politician was particularly high and from which most of these garments date. 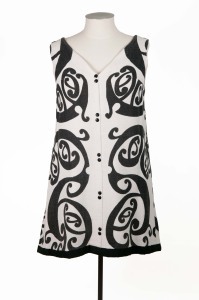 The garments in Travel in Style feature unique textiles, hand-printed by artists and designers that Whetu collaborated with throughout her life. From the simple Māori motif dress that propelled Whetu into the public eye as someone with a serious understanding of fashion, through to garments labelled and sold through her Wellington boutique ‘Ethnic Art Studio’, this exhibition celebrates the iconography of a true fashion legend. 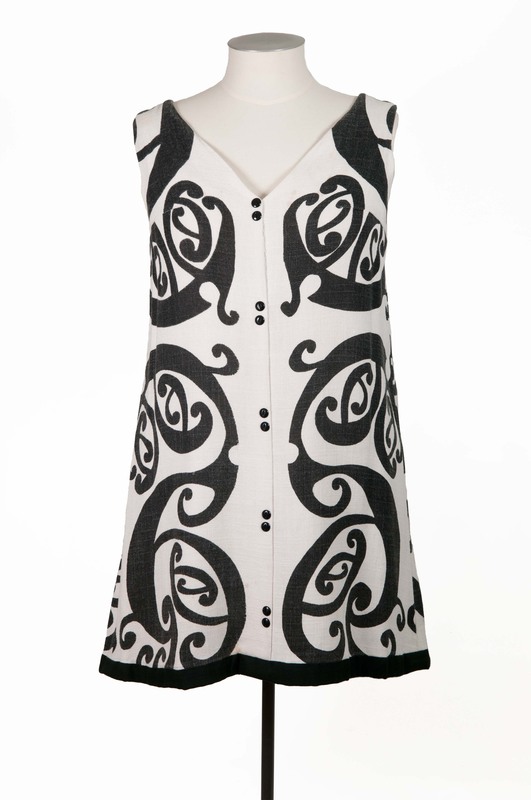 Screen-printed linen shift dress, 1968, Whetu Tirikatene-Sullivan, with textile design by Sandy Adsett. Travel in Style has been a team effort, with much credit to co-curator Lizzie Wratislav, who dedicated the past year to working with the Tirikatene-Sullivan family and developing the exhibition. The MTG Collection and Design teams too have put in a marathon effort under challenging circumstances to create an exhibition in which both garments and exhibition design look fresh and exciting. This entry was posted in Collections, CTANZ people, Exhibitions, Hawkes Bay, Publications. Bookmark the permalink. Check out Lucy talking to Wallace Chapman about the exhibition on Radio NZ’s Sunday Morning, 28 September.